Pioneers in the industry, we offer ink jet conveyor system, truck loading conveyor and flexible conveyor system from India. 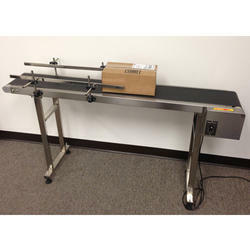 This Ink Jet Conveyor System is used with Ink Jet Printer. Load capacity (35 Kgs./mtr.) 35 Kgs./mtr. 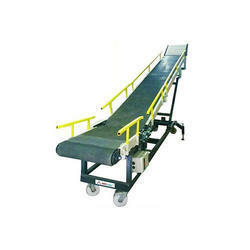 Backed up by our years of experience, we are offering high-quality Truck Loading Conveyor to our clients. 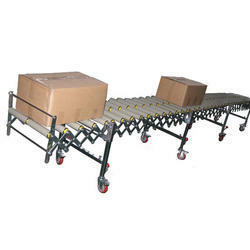 Flexible Conveyor System is used to solve problems on transport in such complicated environment as warehousing, packing line, and loading/unloading etc, and can handle all sizes of boxed packages with a flat bottom. It makes skillful use of movement, expansion, and compaction so that floor space required can be reduced remarkably. Multiple flexible conveyors can be connected together and can be expanded optionally to any length required.